The classic trivia game returns. 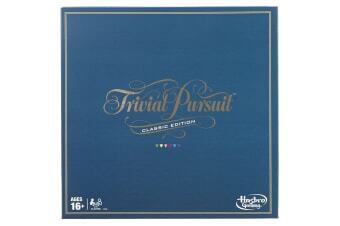 Test your trivia wits with the classic edition of Trivial Pursuit. 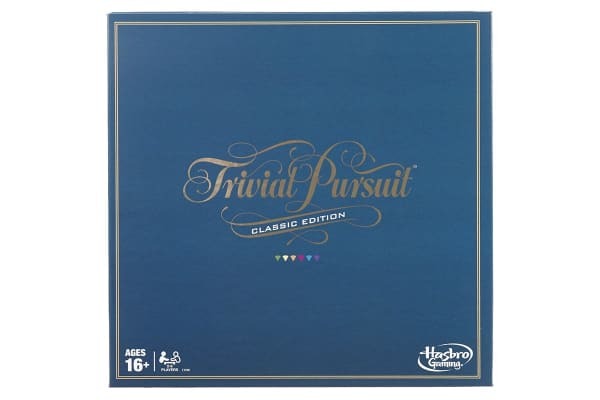 The Hasbro Trivial Pursuit Classic edition of the Trivial Pursuit game might remind players of the original version from the 1980s. 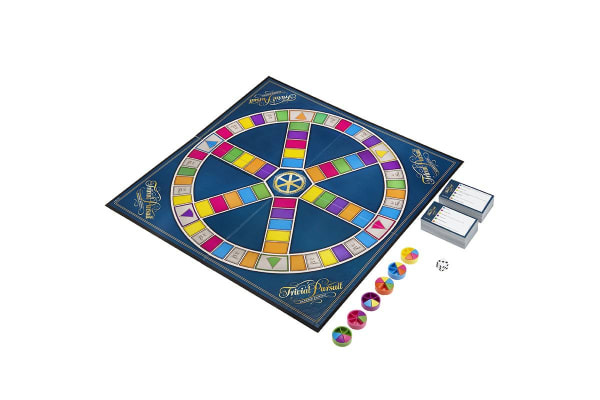 Players move around the board answering questions from 6 categories including Geography, Entertainment, History, Art and Literature, Science and Nature, and Sports and Leisure. When players land on a category headquarters space, they’ll earn the corresponding colored wedge if they answer the question correctly. The first player to collect 6 different colored wedges and answer a final question correctly wins!